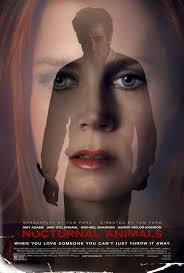 Another Amy Adams movie only this time she wears a lot of makeup so you know she’s a modern woman. It’s a Tom Ford movie so it’s very designed and beautiful to look at – great looking clothes, order houses, visit people but basically it’s a revenge movie. After Amy leaves Jake Gyllenhaal, an aspiring writer, for a richer man, he writes a novel/screenplay which he gives her to read and she imagines it as a movie with she and Jake as the main characters. In it he does to her what he might have wanted to do in life and gets his revenge in other smaller ways as well. Nocturnal Animals is interesting enough, disturbing and hollow at the core.